Multitasking dramatically got redesigned with iOS 7. With iOS 8, Multitasking added a shortcut to the people who are most important to you. In this how to, I will discuss customizing the people that appear at the top, using multitasking to contact your important people, as well as disabling it. Multitasking came out for the iOS devices with iOS 4. 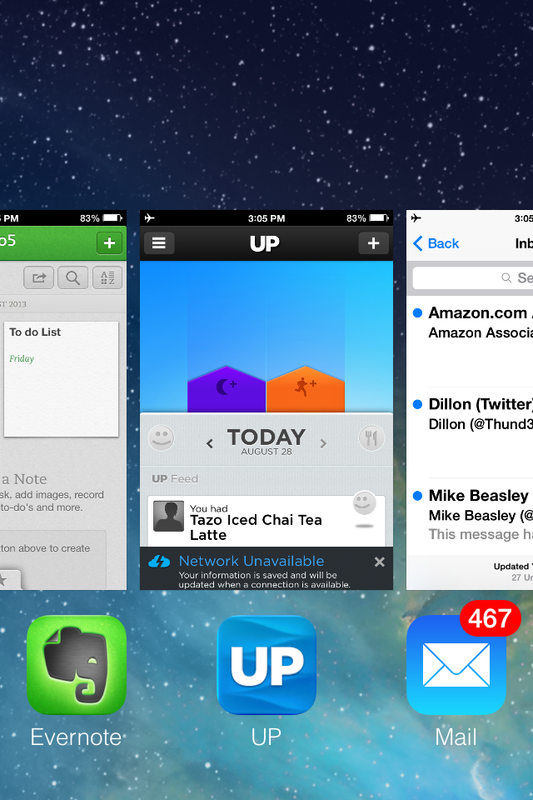 Multitasking is a way to manage all of the apps running on your iOS device. Previously, when you double tap the home button, you would get a small tray on the bottom of the screen filled with apps running. To close the apps, you would have to tap and hold on one of them until it wiggles and jiggles, and then once it is wiggling and jiggling you would tap on the red minus button in the upper left hand corner of the app. Now, with iOS 7 that is no longer the case. When you double tap the home button, it takes you out of the app you were in, and it shows you a fullscreen thumbnail preview of the app you were most recently in, as well the rest of your recent applications. If you want to see the rest of your open apps, you would just swipe left to right or right to left to see them all. The home screen even appears as a fullscreen thumbnail view. To get into any of your open apps, simply tap on the app in the switcher to bring it up. If you want to close an app, just swipe up on any application preview. You cannot close all of the apps at one, just like before. However, if you swipe up with two fingers, it will close out two apps at a time. 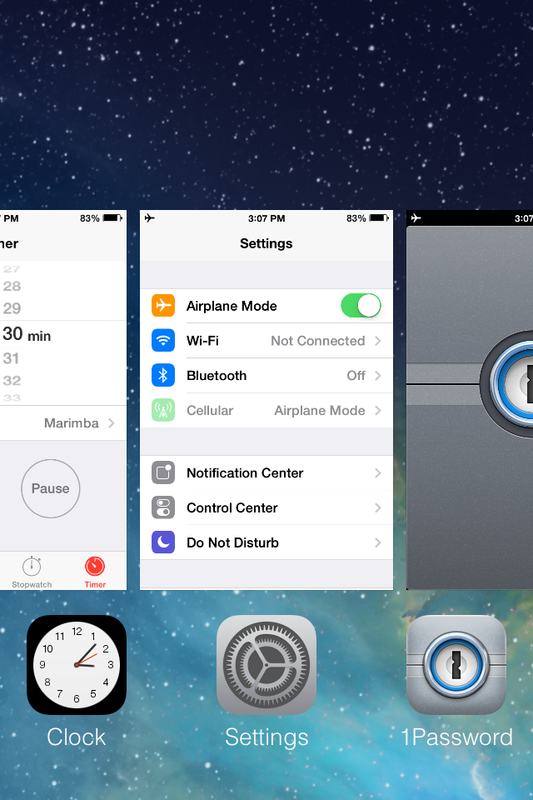 This new method of multitasking is similar to the popular jailbreaking tweak Auxo. For those of you who used this jailbreak tweak, this is going to be very similar, except for the fact that there will not be a way to close all the apps at once, as well as there will not be a media control, or any setting controls. Instead, you will find these in Control Center.